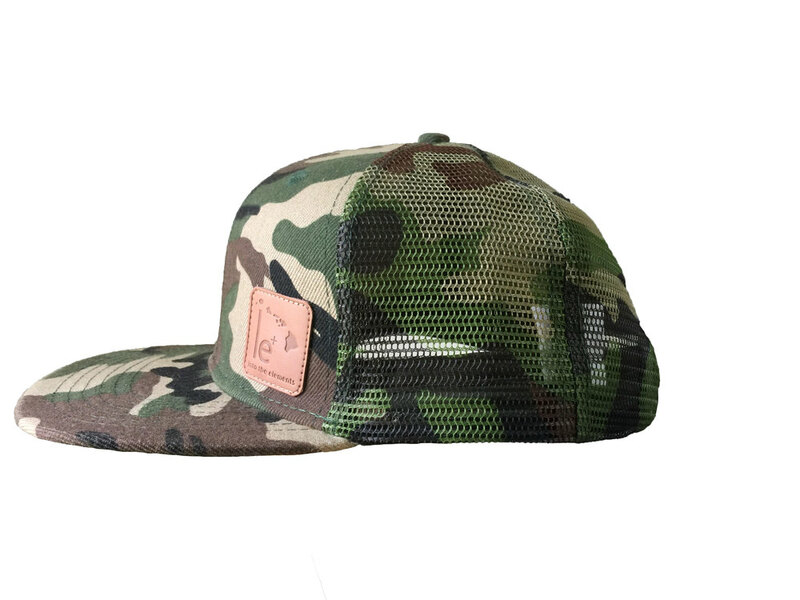 Flat bill camo trucker hat. 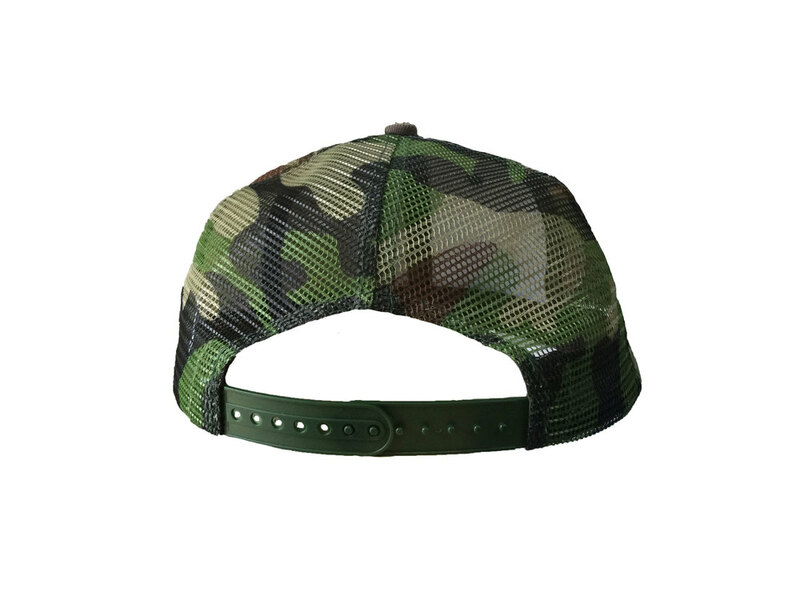 Mesh back, adjustable closure, leather patch. One size fits most. 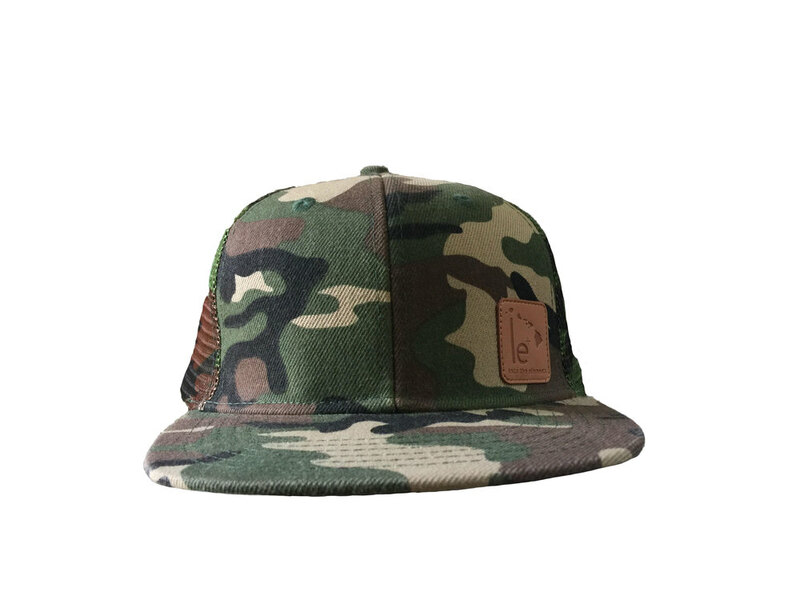 Free Shipping on any apparel order of $50 or more automatically applied at check out!